The Kia Niro is quickly becoming a standout attraction for those searching for a new crossover in our showroom here in Austin and there is plenty of good reasons for it. The Kia Niro has lots of quality and provides you with a drive that you’re going to enjoy. Now, if you’re interested in taking one for a test drive, and have Amazon Alexa technology, you can arrange that. Using Amazon devices like the Echo and Echo Dot, Kia has released a skill that allows you to get more information on the vehicle, and even set up a test drive right from home. All you have to do is add the skill and you’re set to learn more about the vehicle, and set up a test drive right here at your local Kia dealership. The Kia Niro is already a segment winner of the 2017 J.D. Power Initial Quality Study and gives drivers the most fuel-efficient crossover on the market, all with plenty of space, utility, and style. Being able to learn about the vehicle through a variety of digital platforms, from an Amazon Echo to our website gives you the opportunity to do just that. 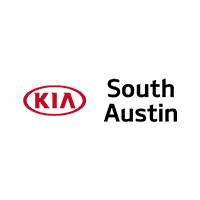 Of course, you can arrange that test drive, or stop by our showroom at Kia of South Austin and we would be happy to answer any questions you might have about the new Kia Niro, and give you a hands-on feel for it and see how the Kia Niro fits all your needs.